I cannot think about the holidays without reminiscing of the Christmas Eve’s spent at my grandparents. The bountiful meals my grandmothers prepared, the Church pageants, and yes…the multitude of gifts under the trees. And while I will cherish those times, I often think back to an event which touched my heart and perhaps set in motion actions which led to my career with the Chamber today. 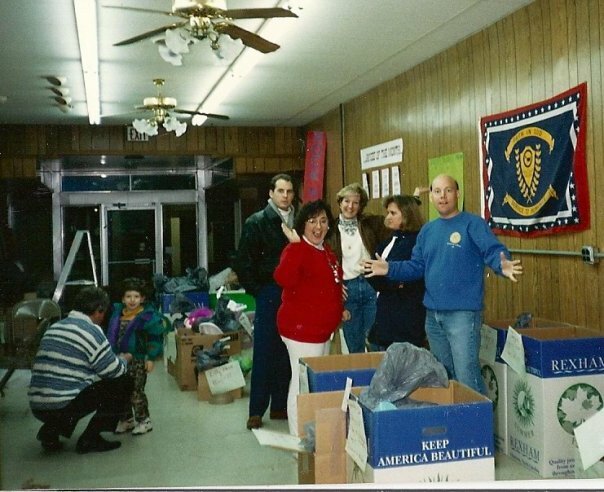 It was the Christmas of 1984 and I was Chairman of the Rock Hill Jaycees Christmas Charities project. We were given a list of 30 or so families a little down on their luck that needed a helping hand. This wasn’t your Bing Crosby White Christmas. Rather it was a cold, rainy southern winter evening where you’d much rather be indoors watching television rather than delivering food and toys in the rain. The family that I was given was several miles out of town. A fellow Rock Hill Jaycee named Joe Stinson volunteered to team up with me and we drove for what seemed forever in rural Rock Hill. We traveled down muddy slick roads until at last we ventured on an old house sitting alone in the dark dreary night. Stepping up on the creaking porch, I pulled back the screen door and knocked on the window pane of the door as Joe began unloading the groceries and toys. A woman came to the door appearing a little puzzled as to her late night visitors. I explained we were from the Jaycees and were there to help. Tears slid down her cheek as she explained she was sure no one was coming and she had told the kids there wasn’t going to be a Christmas this year. The lady said her husband had deserted them and it was just her and the children now . She wiped back the tears as she talked proudly of her little boys as they could be heard in the background tearing through the house. Eventually, one of the little tikes ran up and threw his arms tightly around his mother’s waist. “Mama, mama, who is that?” he asked looking up at Joe and I. “That’s Santa Clause,” she replied with a bright smile as she rubbed her hand across his head. The lady thanked and hugged us as we made our way to the door. “God bless you both and Merry Christmas,” she said as she closed it gently behind us. Joe and I drove back to Rock Hill. I turned the radio off and we listened to the sounds of the wipers as they scraped along the windshield. As we neared the city, Joe turned to me and said, “Little brother, we really were…” Joe’s voice choked off as he looked the other way staring back out the passenger window. Joe didn’t need to finish his sentence. We were, that night – we really were. I will always remember the family gatherings, the wide eyed wonder when I surveyed our den after Santa arrived, and for the reason we all celebrate this most holy time in the first place. And I will also remember the night we brought an evening of happiness to a mother and her children. A mother who thought no one remembered – no one cared. A night when tears were wiped away, hope and promise filled the air, and for a moment in time, we really were. 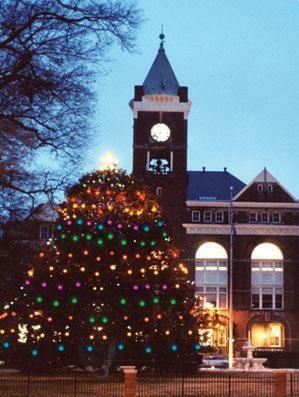 The Christmas Eves of my youth growing up in Rock Hill (SC) seem so long ago. Every year my parents would load my brother, sister, and myself into the car and take off to our grandparent’s house. Our first stop was the Russell’s where grandmamma would be playing Bing Crosby or Jim Neighbors on her stereo with the sweet smell of fresh baked cookies, pies, and cakes in the air. We would have a large supper with all the other relatives including my Aunt Terry and her family. There was turkey and dressing with vegetables grown from the garden and my grandmother’s specialty – Quail Pie. My favorite was her little biscuits. My cousin Kim had nicknamed Grandmother Russell “Bumba” and I affectionately referred to her delicacy as “Bumba’s Biscuits” and there was simply nothing on earth quite as delicious. 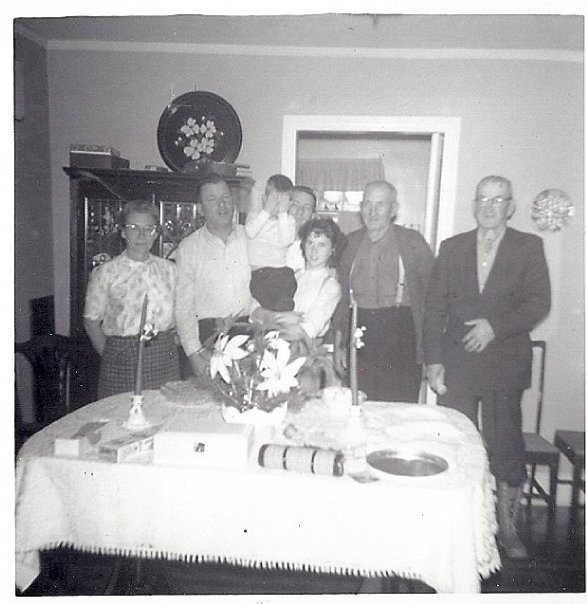 The Russell's 1964 Christmas - Guess who's hiding their eyes! We all had to save room because round two was with my Grandmother Feemster who worked just as hard in the kitchen with her turkey, macaroni pie (Mac and cheese to my Yankee friends), cornbread dressing in little cakes, and a fresh pound cake. Sadly, the Grandparents are all but gone with Grandmother Feemster in the twilight of her life. The onset of dementia has robbed her of most of her memories though mine still fondly recall our family Christmas gatherings. This past week, our Lake Norman Kiwanis Club sponsored a holiday social for our Kiwanis Aktion Club. The Aktion Club is a group of young adults 18 years of age or older who deal with some type of physical or mental disability. Growing up, I never thought about the families who face Christmas Season with a loved one who deals with an impairment. 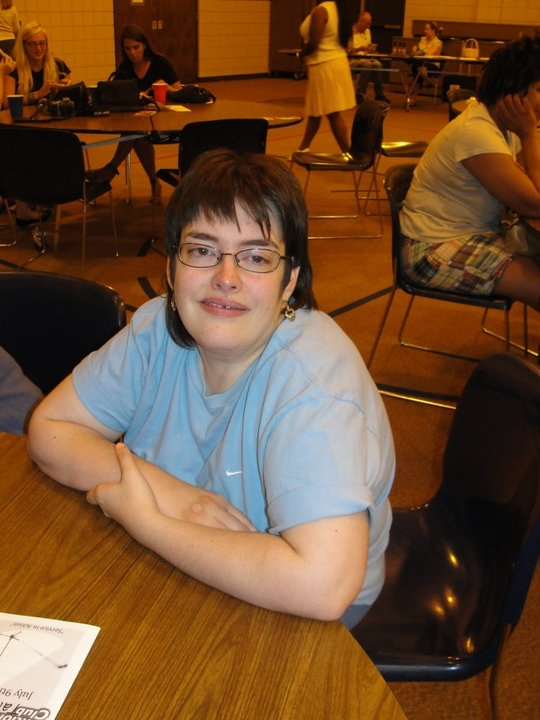 There are 35 million Americans who deal with a severe disability but roughly 46% of those are still employed. In totality, there are more than 54 million Americans that deal with some type of disability, or one in five. Last Friday night, we all enjoyed a wonderful dinner and gave awards out to our hard working Aktion Clubbers. The joy in their face spoke volumes as they stood front and center clutching their awards tightly in their hands. We then installed our new officers for the year. One young lady, Chris Hunter, walked up front with the aid of her crutches and “signed” to me with her hands how she would be a good treasurer and promised not to spend all of our money. She then hugged me as tears of joy ran down her face. Her mom Tracy explained how proud she was as we both stood there and embraced, her arms wrapped securely around my waist. I felt her warm tears on my arms as we pulled apart, but not before I saw her face beaming with joy. One of our Kiwanians had brought an IPAD and they had programmed streaming Christmas Carols. Our crowd had all but drowned out the music which had been playing softly in the background, but as Chris and I parted, I heard Crosby’s version of, “Have yourself a Merry Little Christmas…” playing in the background. If your family is healthy, thank God and pray for those who deal with their challenges each day. Spend extra time this coming year volunteering to help someone who needs that helping hand. Give a little more to the organization of your choice that is trying to find a cure or at least making life better for us all. 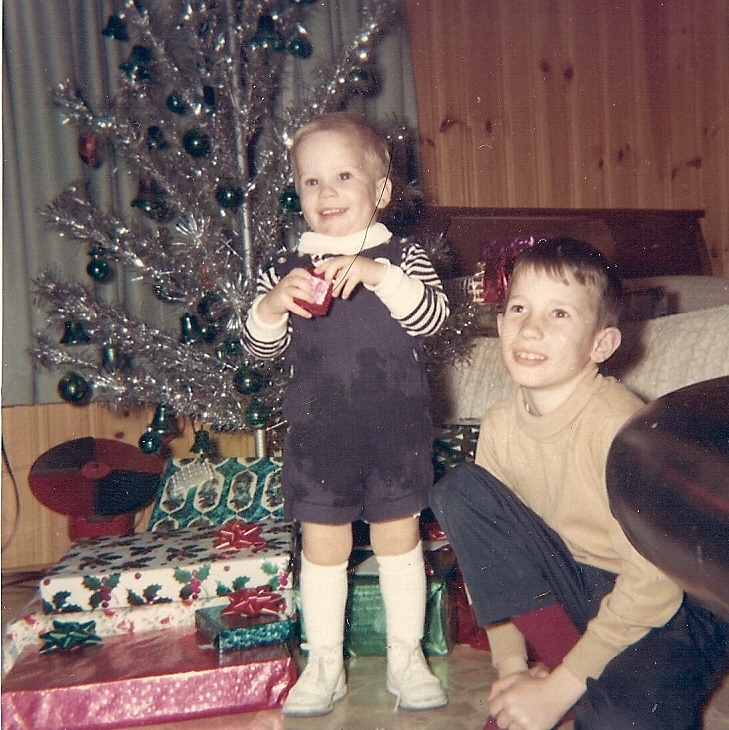 The Christmas Eve’s of my past are filled with warm and special memories of those I love and miss very much. My Christmas Eve’s of the future are filled with hope that we will make strides toward defeating those disabilities. That would truly be a Christmas to remember! Bill Russell alias "GI Joe"
At the age of six, I was pretty certain of my career path – I would likely be a soldier or a cowboy. I looked pretty sharp in my new G.I. Joe uniform my Grandmother Feemster bought that year and I had a rather nifty little salute. 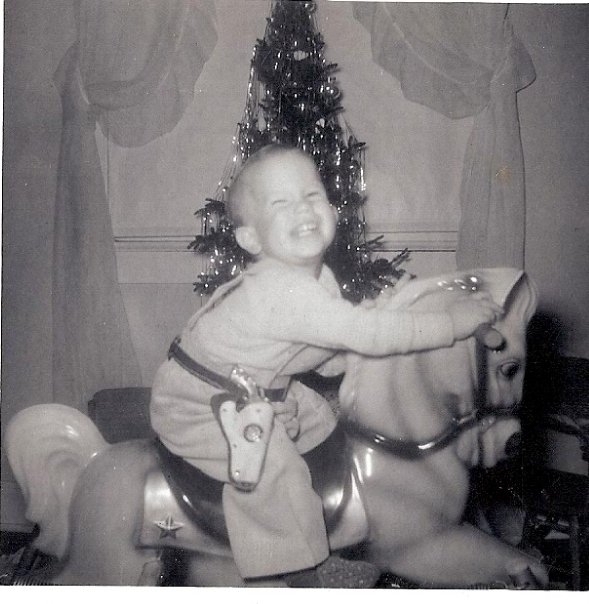 It was about that time though that dad and Granddaddy Russell bought me a pony and I was also pretty sure I could be the next John Wayne. 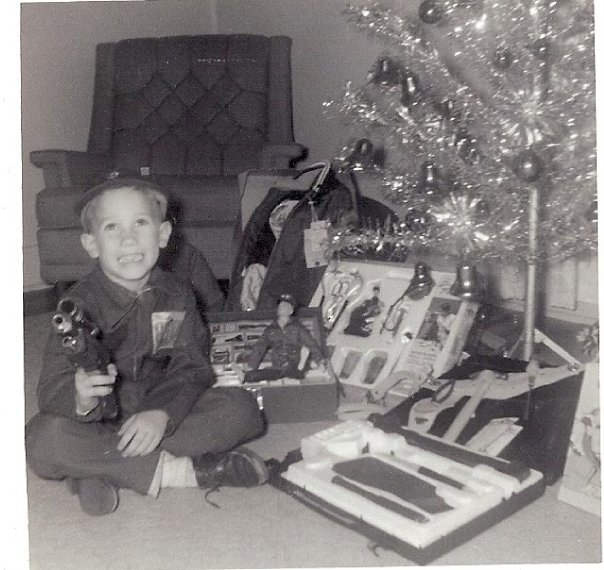 That same year Santa left a “doctor’s kit” under the Christmas tree. My present included a microscope and a doctor’s bag equipped with stethoscope, a little flashlight to peer into ears and mouths, and little candy pills to remedy nearly any non-life threatening ailment. Mom had also purchased me the Board Game “Operation” that had players remove items from the board without touching the sides setting off a buzzer. My family marveled at my steady hands and surgical abilities. Granddaddy Russell often served as my patient over and over again as I gave him one examination after the other, always leaving him with a “pill” to take to cure any sickness. Granddaddy started referring to me as “Doc” and often called me that long after I grew out of my doctor phase. I never made it into medical school, instead turning my attention to business. Recently in a staff meeting, we all spoke about the tremendous activity at the Chamber. While business may have slowed down over the last couple of years, there are more seminars and programs going on at the Chamber than ever before. Our Chamber coordinates consultations and business assistance with the SBA and SCORE to help our businesses create or redefine their business marketing and financial strategies. In essence, the Chamber is much like the doctor’s office as we help the struggling and ailing businesses get back on their feet, ready and able to compete in the marketplace. This month, our Chamber members and service organizations will collect “Coats for Kids”; deliver toys, clothing, and food to families needing a helping hand; make Santa visits to shut ins and kids in hospitals; and volunteer their time, talent…and yes, dollars to make this a memorable Christmas for those who are less fortunate. I cannot count the number of times I have participated in a “Christmas Charities” event, providing for that family who would otherwise go without that family Christmas celebration. Having that mother look me in the face, with tears in her eyes telling me she had explained to the kids there would be no Christmas – no Santa this year. “I didn’t think anyone cared,” one woman once said to me as her little boy hugged tightly at her waist. Merry Christmas from Bill, Gipper, Abbey, and Mad Dog Murray! Long ago, I came to understand that it’s not what we get in life that matters but what we give to others that counts and what we become by doing it. That service to humanity, service above self, is the greatest gift. In a way, I became that doctor that I envisioned as a little boy. In a real sense, that’s what our staff here at the Chamber means to our local businesses. And yes, at times, I may still be a little bit of a cowboy. As we enjoy, this holiday season, let us all remember the real purpose of our celebration, and perhaps share with others … the greatest gift of all. 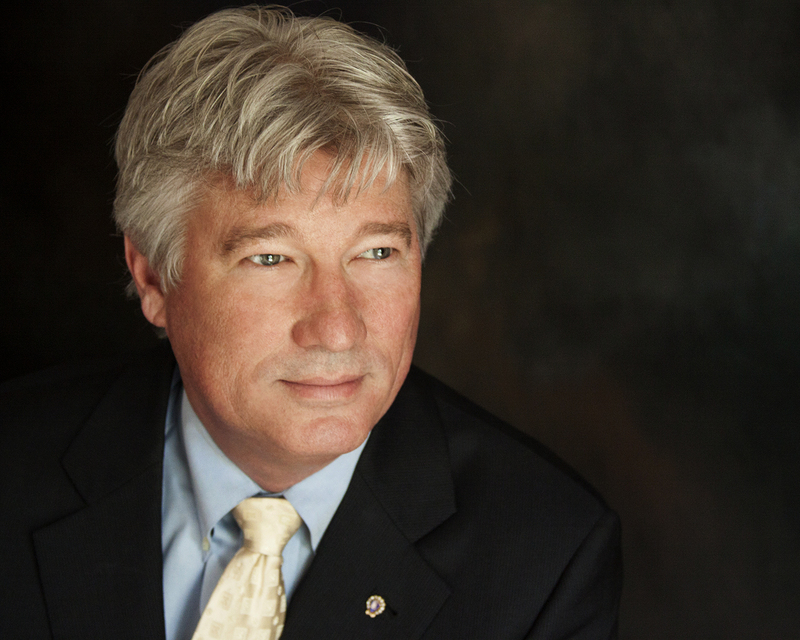 Bill Russell, the president and chief executive officer of the Lake Norman Chamber of Commerce, is a resident of Huntersville, NC. 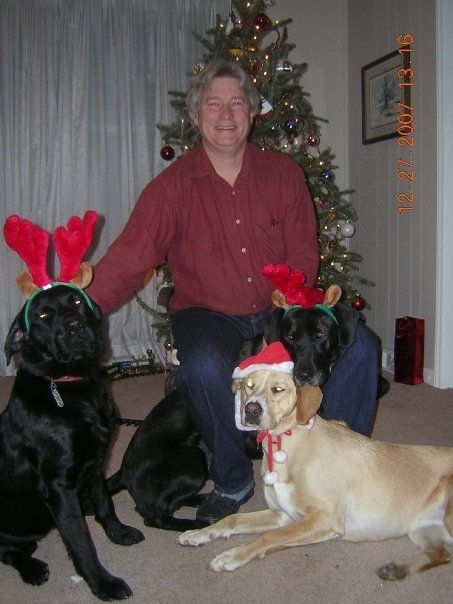 Bill attended Winthrop University and graduated with a Bachelor of Science Degree in Business Administration. He is a native of Rock Hill, South Carolina. He served in 1992-1993 as the 73rd President of the United States Junior Chamber of Commerce (Jaycees). Bill serves on the Boards of Visit Lake Norman, the Lake Norman Economic Development Corporation, Habitat for Humanity, Hugh Torance House & Store, United States Jaycees Foundation and the Ada Jenkins Center. He is a past president of the Lake Norman Kiwanis Club and the Carolinas Association of Chamber of Commerce Executives. He is also a member of the North Mecklenburg Rotary Club. In 1996, he was recognized with the Order of the Palmetto, the highest honor bestowed upon a citizen in the State of South Carolina for his civic involvement. He is a graduate of the U.S. Chamber Institute for Organizational Management and a Fellow with the N.C. Institute of Political Leadership.